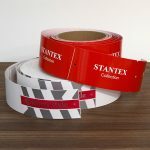 Wrap-around labels, PET type – in the form of a ribbon made of BOPP film: white, pearly, metallized and transparent. Transparent foils provide an aesthetic finish to labels for mineral water bottles and other transparent packaging. Possibility of printing the film on both sides – which allows placing additional information on the inside. 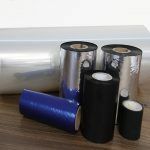 Their main advantage – in addition to visual values – is reduced production costs in relation to fully adhesive coated labels. 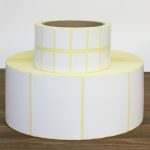 The wrap-around band can have an adhesive layer only on the junction, which affects the final price of the label. Wine labels – treated as premium class markings. 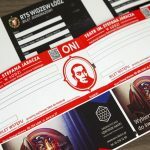 Decorative, using many printing refinement techniques, allows you to give the product a luxurious look. Durable raw materials imitating natural materials, e.g. 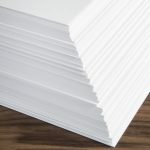 paper. Raw materials allowed for direct contact with food allow for wide use of wrappers in the food industry. 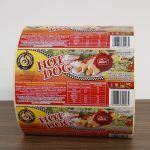 The labels can be cut out and stacked – they work as wraps for cured meats, eg kabanoses, dried sausages and similar products. Decorative, multi-colored, often refined using cold-stamping (gilding, silvering). Adhesives that can be applied directly to food products guarantee simple and safe labeling of, for example, individual fruit and even bread. 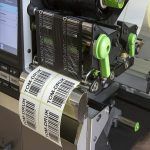 Direct labeling of products is also important from the point of view of logistic processes – it allows for easy identification in the supply chain. They protect food containers against accidental opening, for example as security for ketchup bottles, salad containers. 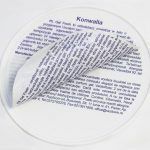 Print on self-adhesive raw materials (film, paper) or in a version without glue. 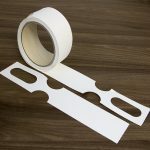 In order to obtain more durable protections, it is possible to print on cardboards or foils of various weights, matching the shapes of the packaging.